Fifty-five contemporary designers, photographers and artists selected an Old Master as their muse and drew inspiration for a new contemporary design. These designs will be on display in the city center of The Hague in the third week of September 2018. Three historical buildings near the Hofvijver at Binnenhof (or Inner Court) complex will be open for four days to the public and hosting a festival for old master paintings and Dutch Design: Masterly The Hague. A new cultural event next to the Residence of Dutch Parliament of The Netherlands at Lange Vijverberg. This combination of new and old generates some surprising insights into the beauty of art. 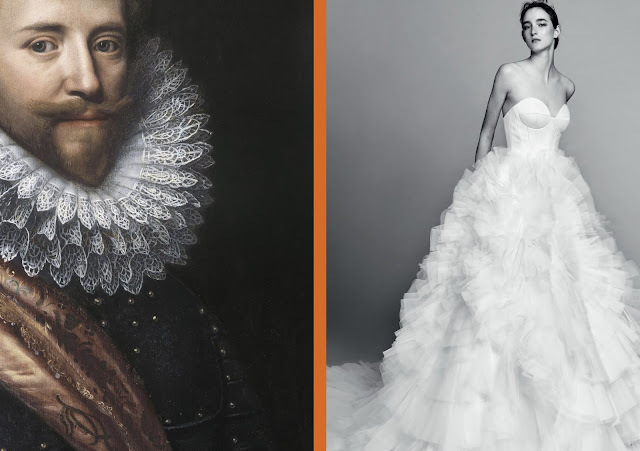 For example, the haute couture of fashion designers Viktor & Rolf forms a fascinating combination with Frederik Hendrik's armour and his splendid collar, portrayed by Michiel van Mierevelt before he became Prince of Orange in 1625. 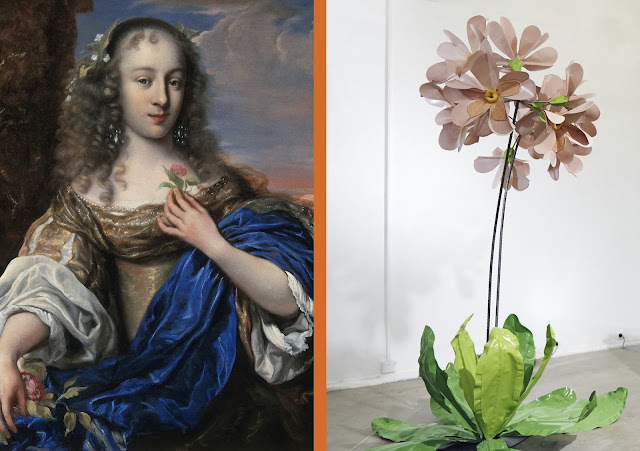 Linda Nieuwstad’s gigantic metal flowers refer to the roses in a seventeenth-century portrait by Jurriaen Ovens of Lucia Wybrants, then the wealthiest woman in Amsterdam. Contemporary artist Lita Cabellut presents a striking painting beside a beautiful historic painting of Amalia van Solms, painted bij Honthorst. While from 20 to 23 September, these new works by contemporary designers, photographers and artists will be on show alongside their muse, the event also offers an opportunity to meet the designers and artists who created these works. Visitors are offered a unique perspective on beauty and craftsmanship by exploring their contemporary vision of the historical paintings. When the red carpet rolls out on Lange Vijverberg, the public will be introduced to an unprecedented array of art and culture including previously unshown paintings from the collections of Dr Abraham Bredius, art dealers Hoogsteder & Hoogsteder and artist Cornelis Kruseman. 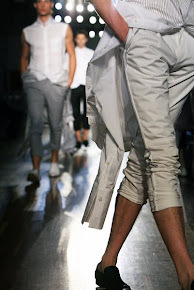 All the Dutch Design exhibits on display are also available for purchase. Masterly The Hague is a new annual festival open to the public. Historical paintings appear alongside works specially made for the event by contemporary designers, artists and photographers. 'Masterly The Hague' is a Nicole Uniquole and Willem Jan Hoogsteder (the Hoogsteder Museum Foundation) initiative. For tickets visit Masterly The Hague.